As Tropical Storm Isaac threatens to accelerate into a Category 2 hurricane targeting the Gulf Coast, it's a reminder to homeowners in areas exposed to such destructive storms that they should always have measures in place to protect their homes from such severe weather. Analytics firm CoreLogic said Isaac alone threatens nearly 270,000 homes worth a total of $36 billion, most of them in already storm-battered New Orleans. In the event that a hurricane does hit, make sure your property is ready to weather the storm by following these tips from ACE Private Risk Services. • Wash out all your rain gutters and exterior drains to avoid water backups. Water in gutters may not just spill over onto the ground -- it could back up and cause water to seep into a home's walls. • Install a battery backup system for your water pump to guard against flooding and interior damage. "When these storms come through, power lines are knocked down," said Dale Tomlinson of ACE. "So it's important that you do have a battery backup to keep that [pump] going while there's water coming." Having a backup generator is also a way to ensure that necessary equipment can continue to function in the event of a blackout. • Reinforce your windows with shutters, add heavy-duty hinges and deadbolts to doors, and make sure that roof sheathing can withstand strong winds. 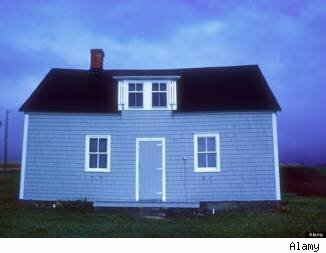 If wind bursts into your home, the risk of structural damage to the home's roof and doors increases substantially. "The internal partitions of your home are not built to withstand positive and negative pressures from the exterior," Tomlinson said. • Trim trees whose branches could fall and cause damage, and be sure to clear all items that could become projectiles during a storm. "Move any outdoor furniture that could become debris that would either float or cause damage," Tomlinson said. In order to safeguard your home's value, you should make sure that you have homeowners insurance, flood insurance, and, in some cases, wind insurance. Homeowners insurance usually covers wind damage and other hurricane-related losses. However, in some coastal areas especially prone to hurricanes, wind coverage may not be part of a policy, and you may have to purchase wind insurance from a different carrier. There is usually a deductible amount for named-storm wind damage, such as 2 percent of the value of the home, Tomlinson said. Flood insurance covers water damage and can be obtained through the government's National Flood Insurance Program. The government insurance, which has a $2,000 deductible for high-risk areas, may cover up to $250,000 in property damage and $100,000 in damage to personal belongings, depending on the premium you choose to pay. To receive coverage for damage beyond those two amounts, you can sign up for a supplementary policy with a private insurance company like ACE. To make sure that you get the most protection out of your policy, you should be sure to take inventory of and document your belongings and property before the onset of a storm. Use Know Your Stuff, a free insurance software provided by the Insurance Information Institute, to help efficiently take inventory and store records of your belongings. Doing so will enable you to speed the claims process and maximize your settlement if some of your possessions are damaged. If your home sustains damage and you have insurance to cover it, you may contact your service provider to file a claim. To do this, you must provide evidence of the damage to your home and possessions by taking photographs of the property damage and making a list of damaged items with their date of purchase, value and, ideally, receipts. When you and your insurer agree on the amount of damages, you should receive payment. As we gear up for the height of the hurricane season (also a time when tornados, wildfires and floods are common), we're taking a look back at some of the worst natural disasters in recent memory and how they reshaped the affected regions. Entire towns have been wiped off the map, and you'll be as shocked as we were to see the before and after shots of areas that have been hardest-hit by storms and other natural phenomena. The powerful EF4 tornado that hit the quiet town of Tuscaloosa, Ala., was one of 358 that tore across the Midwest from April 25-28 in 2011 -- the largest tornado outbreak in U.S. history. The rows of suburban houses that you see here were suddenly blown away. The quaint town of Joplin was nearly wiped off the map when an EF5 tornado struck. About 2,000 buildings were destroyed in the storm, which reached sustained winds of over 200 mph. It beat the Tuscaloosa tornado to become the costliest twister in U.S. history. The tornado grew to a width of over 1 mile as it made its way through the southern part of Joplin. This Joplin neighborhood was rendered unrecognizable after the tornado hit. But it returned to some semblance of normalcy a year later, after ongoing recovery efforts to rebuild. Brisbane, the capitol city of Queensland in Australia, was one of the most affected areas in a massive flood that began in December 2010. Half of Queensland, which is more than 715,000 square miles large, was affected. At least 70 towns and over 200,000 people were affected by the rising waters. In Brisbane, residents of 2,100 streets were ordered to evacuate. The flood waters peaked at 14.6 feet, the 10th highest in the city's history. What Brisbane looked like before the flood. And what the area looked like after the flood. The Superdome arena in New Orleans became one of the most well-known symbols of the storm's devastation when Hurricane Katrina rolled through the area. Katrina was the most destructive hurricane in U.S. history and the deadliest since 1928. The Category 3 hurricane caused New Orleans' levee system to fail, sending floodwater into 80 percent of the city. This is the Superdome before the storm. After Katrina, the Superdome was used to house 26,000 people who were unable to evacuate the city before the storm. The National Guard delivered truckloads of food and water for the evacuees. After the storm, it took $185 million to repair and refurbish the stadium, which was reopened in 2006 in time for the New Orleans Saints' opening game of the season. New Orleans was a majestic city before Katrina struck. But much of the city became submerged after its levees crumbled under Katrina's force. The National Palace in Haiti's capitol of Port-au-Prince was a beautiful property where the Haitian president lived. But its beauty crumbled under a devastating magnitude-7.0 earthquake -- one of the deadliest in history. In addition to the horrific number of deaths, the earthquake injured 300,000 people, and 1 million people lost their homes. The National Palace was reduced to rubble after the earthquake. The Haitian government estimated that the quake damaged 250,000 residences and 30,000 commercial buildings. Even six months after the earthquake, as much as 98 percent of the rubble remained uncleared. By May 2010, enough money had been raised worldwide to give each displaced family $37,000. In January 2012, it was reported that 500,000 Haitians still remained homeless. The Sendai region of Japan was almost wiped off the map when a 9.0-magnitude earthquake rocked the country. A nuclear reactor was crippled by the quake and went into meltdown, causing a radioactive catastrophe. The National Police Agency reported that 129,225 buildings completely collapsed in the quake; 254,204 "half collapsed"; and 691,766 were partly damaged. ... and after, nearly completely destroyed. Bill Stinson's family ranch, a waterfront property in Nags Head, N.C., became an iconic image related to Hurricane Irene's destruction. The storm made nine landfalls, starting in the Caribbean and making its way up the East Coast to New York City. The flooding that Irene caused was widespread, leading it to become the sixth-costliest hurricane in U.S. history. Stinson's home, which he shared with his wife, Sandra, and daughter, Erin, was completely blown away by Irene, leaving nothing behind but the staircase. The home had been in his family since 1963. Sandra had told North Carolina's Our State magazine in 2010: "God has really protected it [the home]. ... We have had so many storms, and really, inside, we've only had damage one time since Billy's family has owned it." ... and what remained after the storm. After slamming into Cuba as a Category 4 hurricane, Ike moved along the Gulf of Mexico, devastating areas from the Louisiana coast all the way to Kenedy County, Texas, near Corpus Christi. Crystal Beach, Texas, was hit particularly hard. This is what the waterfront town looked like before the storm. The town was devastated, with most coastline properties wiped away. ... and following the disaster. The two bell towers collapsed in the quake, and the building's dome was destabilized. The dome was eventually removed. It is yet to be determined whether the cathedral will be restored or demolished. ... as the spire and part of the tower of the church was destroyed in the quake. Work to demolish the building began in March 2012, and a temporary cathedral is being built. A fire sparked in the Waldo Canyon in Colorado Springs jumped firefighters' perimeter lines and quickly spread, devouring 347 homes. More than 9,000 residents were forced to evacuate. The fire left several homes completely burnt to the ground.